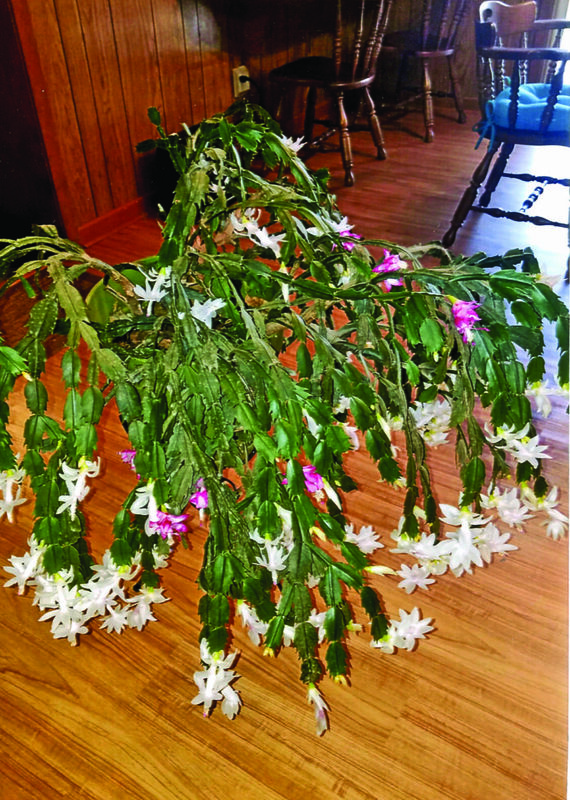 This Christmas cactus is 32 years old. It had all white blooms until about four years ago. Now it has mainly white with about 10 red. It was given to J.W. Smith Jr. by Mrs. Emily Anding.